Our exceptional, friendly staff at Beverlywood Dental is our greatest asset. Our staff is made up of professionals who pride themselves on staying on the cutting edge of dentistry and patient communication. They are excited about what they are doing, have high standards of quality and integrity, and are motivated to achieve the best results for our family of patients. In fact, the friendly staff at Beverlywood Dental is one of the main reasons our patients like to refer their friends and loved-ones to our office. Our dedicated and motivated staff has one primary goal—your utmost comfort! We feel it’s important that you understand the treatment that you’ll be receiving so that you can relax during the procedure. The staff at Beverlywood Dental is eager to answer any questions regarding your dental care. Please feel free to share with us your needs and concerns. We want all our patients to be informed and knowledgeable about their dental health care, from treatment plans and services, to insurance coverage. We are caring, skilled professionals, dedicated to simplifying what is often a very complicated and confusing area of health care. Therefore, we are committed to giving you the one-on-one personalized attention that is all too often lacking in dental offices. So call us today and discover how different your dental care experience can be! 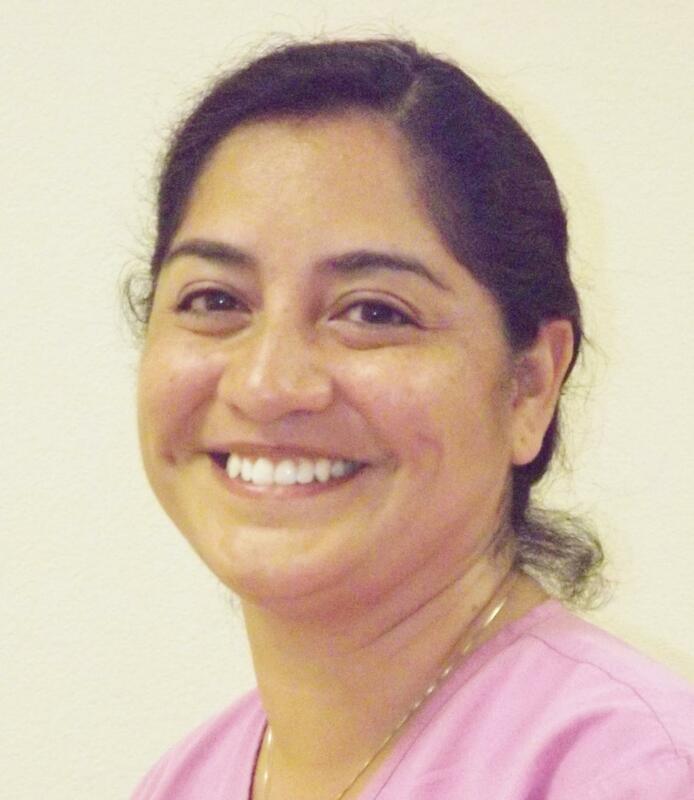 Maria is the office manager at our practice and has been with Beverlywood Dental since 2007. She brings to Beverlywood Dental 20 years of experience in the dental field. Her dedication to patient service and constant strive for excellence have made her an invaluable member of the Beverlywood Dental team. 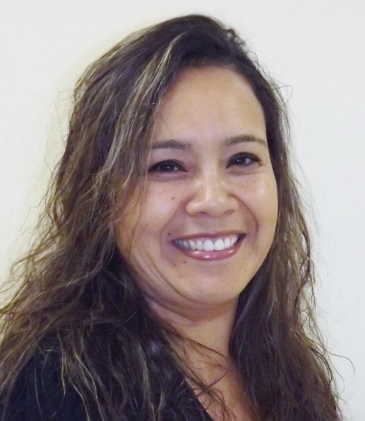 Maria is the go-to person with any questions or concerns, and she will always find an answer! Whether it's an insurance or billing issue, or helping a patient understand the various options of a treatment plan, Maria is there to help. So please don't hesitate to contact our friendly manager with any questions or concerns. When not running the day-to-day operation at Beverlywood Dental, Maria enjoys spending time with her wonderful husband and adorable daughter and son. She enjoys music, traveling, reading, and bike riding. Erika is the chief dental assistant at Beverlywood Dental. She has over 10 years experience as a dental assistant, and has a true passion for working with people. Erika will always greet you with a smile and kind words, and make sure you are comfortable and relaxed. As a part of her commitment to excellence in dentistry, Erika takes various courses throughout the year to continually become a better professional. She particularly enjoys assisting the doctor with cosmetic procedures, helping patients achieve beautiful smiles. Outside the dental office Erika enjoys spending time with her husband, dancing salsa, reading, and photography (Erika is a serious artistic photographer). Kellyn is a dental assistant at Beverlywood Dental. From the moment she began dental assisting school Kellyn knew that this was the perfect field for her. In fact, she loves the dental field so much that her ultimate goal is to become a dental hygienist. In the mean time, Kellyn enjoys assisting the doctor with various dental procedures, while making sure the patients under her care are comfortable and relaxed. Her soft-spoken and reassuring manner certainly help put patients at ease. When not working at the office, Kellyn enjoys hiking with her dog, running, scrap-booking, and baking. As an athlete, Kellyn participated in competitive cheerleading.